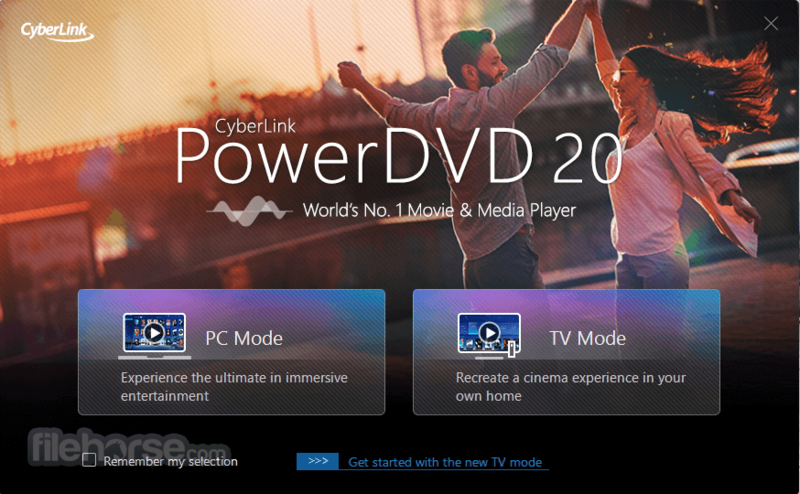 PowerDVD is the perfect universal media player for all your entertainment needs. 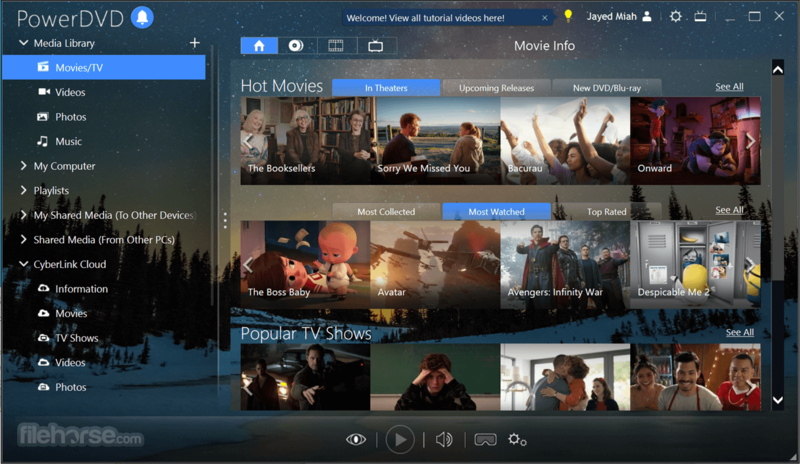 Play any movie, video or music file or view photos stored locally, in Youtube or Facebook or on other devices all from within the one powerful application. It also works perfectly within your home network, share media library to other DLNA devices at home, browse content from other media server or extend your media experience to Power Media Player on your iPhone, iPad and Android phone or Windows tablets. With support for all media types including video, audio and photographic content, PowerDVD for PC installer is your all-purpose entertainment station. Enjoy! It plays more than just DVD and Blu-ray discs. 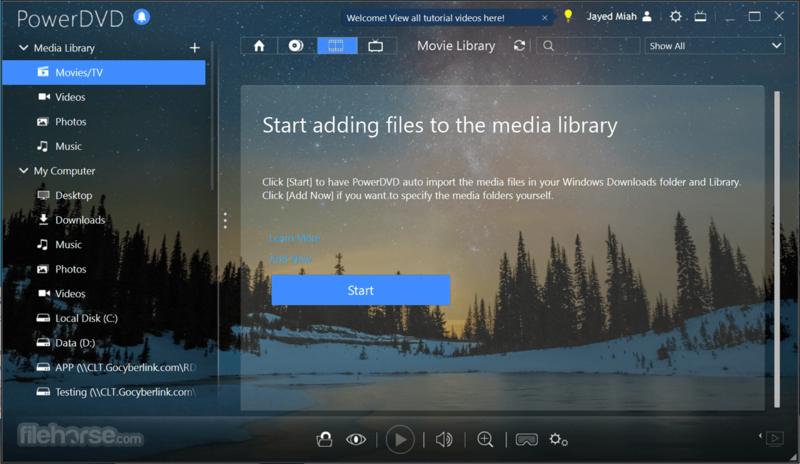 For video, audio, photos, VR 360˚ content and even YouTube or Vimeo, PowerDVD for Windows is your essential entertainment companion. Unlock the potential of your Ultra HD HDR TV and surround sound system, immerse yourself in virtual worlds with access to ever growing collections of 360˚ videos, or simply unwind wherever you are with unrivaled playback support and unique enhancements on your PC or laptop. It brings the latest in high-resolution video technology right into your living room to ensure you can enjoy the ultimate in Ultra HD 4K home entertainment. Ultra HD Blu-ray is as good as home cinema gets! The next wave in ultra-high definition entertainment is here with 8K video. It brings the latest in high-resolution video technology right into your living room to ensure you can enjoy the ultimate entertainment experience in Ultra HD 4K, HDR & now 8K on your big screen TV. Watch your favorite Hollywood classics on ultra-widescreen TVs without any letterboxing or black bars. That means if your TV has an aspect ratio of 21:9 (2.35:1) It will intelligently adjust playback of your discs to fit your screen. The future of online video is already here with YouTube 4K and HDR video. With the program you can actually enjoy online content the way it was meant to be enjoyed, in the highest possible quality on your big-screen Ultra HD 4K HDR TV. It supports master-quality sound technology from the leaders in professional digital audio—Dolby and DTS. Enjoy the acoustic difference of specialized multichannel audio and lossless audio formats such as FLAC and DSD. 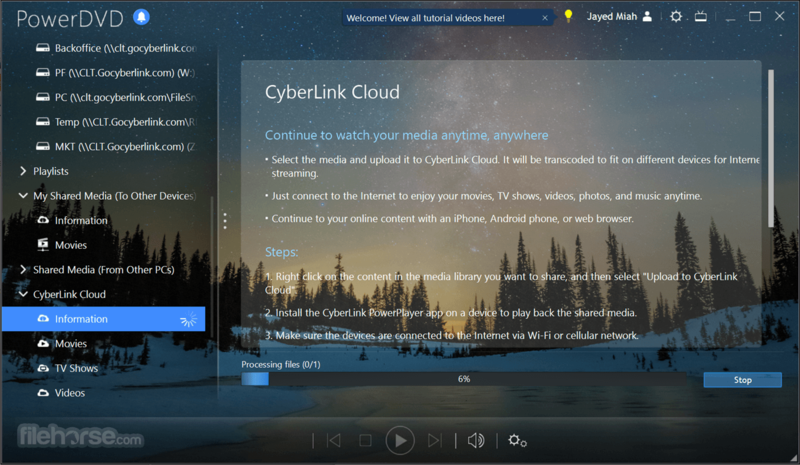 Power DVD is the best way to save online videos to your PC so you can watch them offline whenever you want! Immerse Yourself in VR with support for Oculus Rift and HTC Vive headsets, Power DVD is the must-have player for the next-generation in multimedia entertainment. Enjoy the Ultra HD videos shot on your GoPro, or iPhone photos in full quality as soon as you get home, even if you're running Windows 10. It ensures playback for a wide range of file types and formats, including HEVC/H.265 video & HEIC image files, without the need to install any extra plugins. With this video play, you can even cast a wide range of media formats and codecs to your TV, even if they are not natively supported by your Roku®, Apple TV®, Chromecast™, or Fire TV™ device.